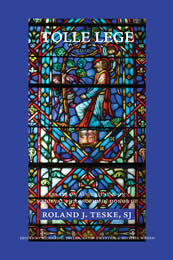 With his clear and accessible prose, impeccable scholarship, and balanced judgment, Roland Teske, SJ, has been an influential and important voice in Medieval Philosophy for more than thirty years. This volume brings together more than a dozen essays on central metaphysical and theological themes in Augustine and other medieval thinkers. The authors are noted scholars who draw upon Teske's work, reflect on it, go beyond it, and at times even disagree with it, but always in a spirit of respectful co-operation, and always with the aim of getting at the truth. Roland J. Teske, S.J., Donald J. Schuenke Professor of Philosophy (Ph.D., University of Toronto, 1973), specializes in St. Augustine and medieval philosophers, especially William of Auvergne and Henry of Ghent. He has translated 10 volumes of works of St. Augustine, 4 volumes of works of William of Auvergne, and 3 volumes of works of Henry of Ghent. He has published over 50 articles on Augustine, over a dozen on William, and several on Henry. 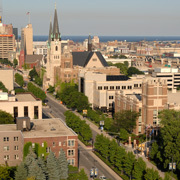 He has given the St. Augustine Lecture at Villanova and the Aquinas Lecture at Marquette University. He has been visiting professor at Santa Clara University, John Carroll University, and Villanova University.